With the huge increase in automated traffic management devices that we have in the UK it’s now far more common to receive a notice of intended prosecution (NIP) by post (under s172 of the road traffic act (RTA)), rather than the more traditional process of being given a producer at the roadside by the police officer that stopped you. The NIP is sent to the registered keeper of the vehicle, who is required by law to confirm or identify who was driving the vehicle at the time of the alleged offence. 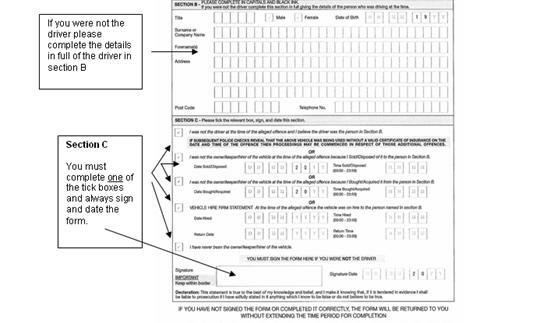 If you fail to name the driver, you as the registered keeper will be liable for 6 penalty points and a fine, so in most instances, you are better off to either confirm that you were the driver or to name who was driving at the time. 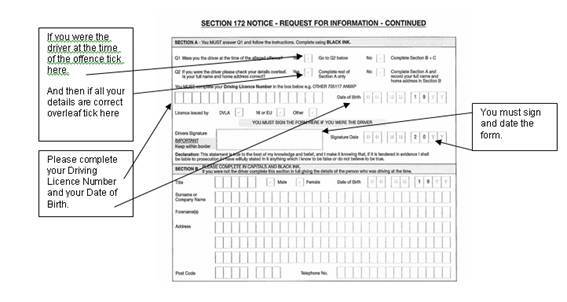 Completing a S172 driver identity form isn’t an admission of guilt to the offence, but just the process of confirming who should be prosecuted for the offence. Most speeding offences only carry 3 points and a small fine, or a driver awareness course (if you haven’t been on one in the previous 2 years and your speed isn’t very high), so it’s to your advantage to identify the driver within the specified time.